Lost Earth 2307 is a 4X space game AND a serious game, produced by Fraunhofer Institute for use in education by the German military (“Bundeswehr”). This time, I was involved in many areas: Music, sound design, voice recordings, editing & post-production, on-site audio integration using FMOD, text work, video editing and scripting them using ActionScript! A BIG thanks to Daniel Atorf and the great team of scientist I had the pleasure to work with! Especially the on-site work was a fresh experience, to work with scientists is a pleasant thing! Thanks to Simon & Linked Dimensions! “Crooks – The Big Heist” is out now! 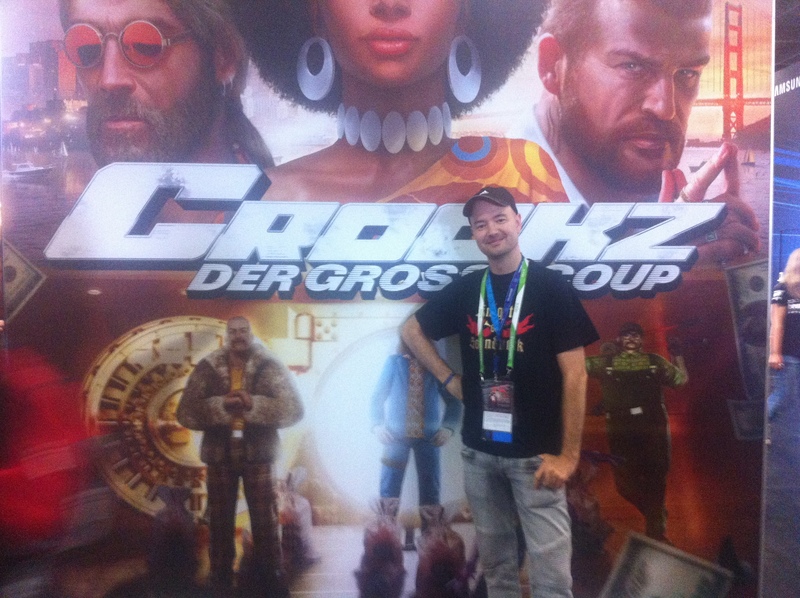 “Crookz – The Big Heist” (Skilltree/Kalypso) is out now, featuring my sound design and audio integration. As I said, I think it turned out quite good, nice stylish and bold game. I had a great time, working closely with the team in Berlin. 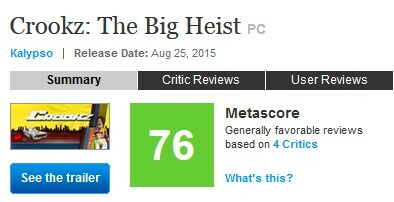 Therefore, it makes me happy to see that it currently sits at a Metacritic score of 76. Check it out, as I said earlier, there is also a demo!